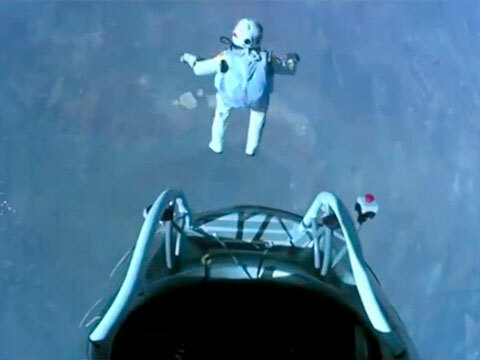 When Felix Baumgartner made that majestic jump from outer space, the first few questions that popped up in my head was: How can someone classify complete madness as ‘athletics’ – extreme or otherwise? What happens then to sport, as we know it now? Would high jumpers at the 2020 Olympics have to jump from a skyscraper to qualify? Given the absurdity of the above paragraph, I decided to fall back on the trusted option that all journalists go to when in doubt. They open Google and search! Sadly, enlightenment did not follow, as Wikipedia too did not bother defining it. Another question popped up… Why had Wikipedia missed out defining extreme athletics? Maybe the editorial volunteers managing Wikipedia held the view that managing a zillion pages on a website without getting paid was itself an extreme example of craziness! I mean, why would I want to work on a page on ‘extreme athletics’ when my own life is worse than jumping off the stratosphere? I abandoned my knowledge pursuit on the topic and began thinking of what Baumgartner would have thought of before deciding to take the plunge, as it where. For that matter, what does his ilk think before doing death-defying feats like tangoing with crocs, climbing a skyscraper with artificial legs etc.? 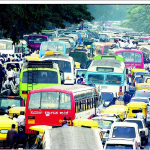 If defying death is the prime motive, all that they need to do is drive through peak hour traffic in any Indian city! Driving to work, one perceives extreme adventures of a similar kind on the city streets each day of the week. In fact, a collection of videos from our roads would make extreme athletics appear juvenile. What’s more, if the chaps at Guinness Records could show some of these videos, they’d probably break the record for the longest reality show on television. (For the uninitiated, TV anchors Arnab Goswami & Rajdeep Sardesai currently hold this record!). In case you’re wondering why the television anchors missed reporting such an important bit of news, don’t bother. News Channels have quietly removed all reference to news on their shows as advertisers have convinced the editors that reality television in the guise of debates fetch far more advertisers than sharing facts about fuel price hikes, droughts, floods and the shenanigans of our political class. Take the example of ‘Cyclone Nilam’ and its aftermath. The anchors waxed eloquent about its movement till (an excellent read from my friend Balakumar on weather forecasts) such time as it crossed the Indian shores. Once that happened, realization dawned that the storm hadn’t actually done enough to merit TRPs. So, news channels moved all reference to the last minute of an hour-long bulletin that discussed the Reliance-politician nexus. Of course we knew about this nexus and wanted to know about the cyclone, but who cares? Wait… I veered off course here! (Not surprising, given that anyone discussing news tends to do the same, especially the TV anchors! We were discussing the extreme athletics and how everyday life in India is nothing short of an adventure. 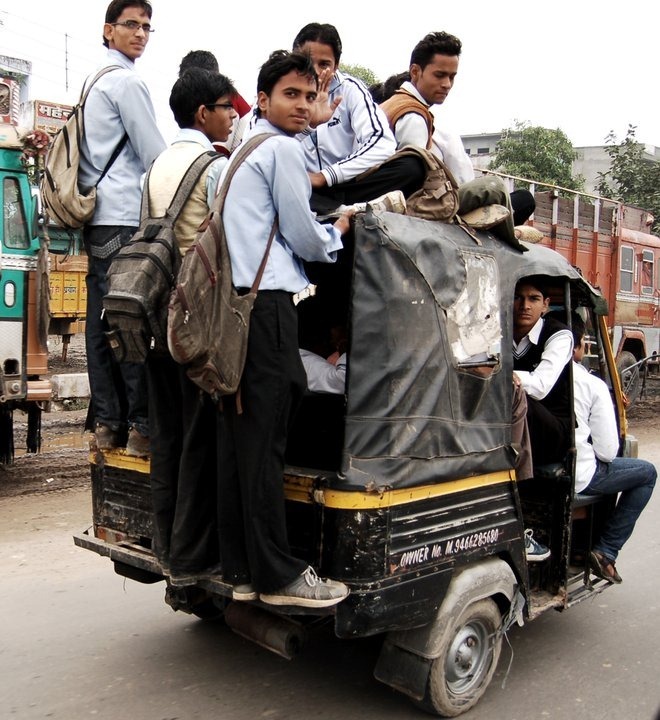 I mean where else would you see an auto rickshaw carrying 20 school children – four of them parked on either side of the driver and two more on his lap? Can Felix perform this feat and still remain sane? Here’s an example of what one goes through while driving on Chennai roads? Most bikers are so busy weaving through potholes that they seldom notice the vehicle in front or the traffic cop’s hand signal to stop. Result: The poor chap in a car driving in front stops at the cop’s behest and gets rammed by the biker who was too busy avoiding potholes! So, car drivers have the dual task of avoiding the potholes as well as the bikers who are trying to avoid potholes… I challenge Baumgartner to a drive in Chennai. 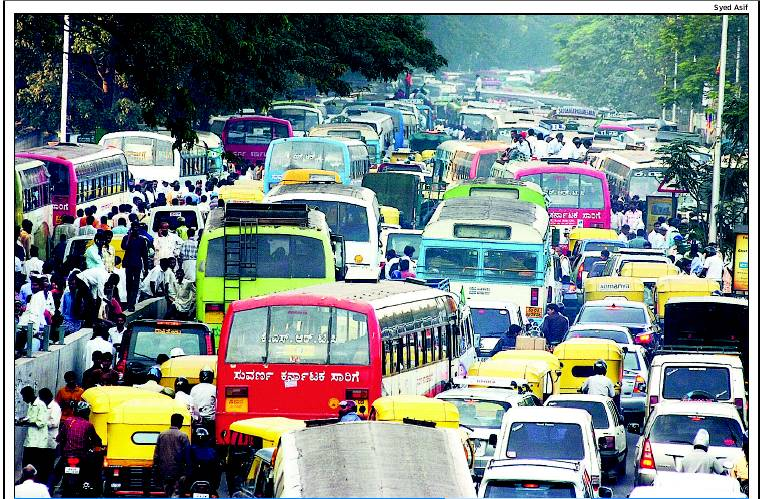 Driving through Delhi is considered easier because the city lays claim to some of the widest roads in India. The only problem though is that those driving on these roads believe they are the direct descendants of the folks after whom the roads are named. Hence, a drive never thinks twice before cutting across from the fast to the slow lane… in fact, most of us don’t even know that lanes have speed limits. As for indicator lights, these are only used to illuminate the vehicle during important festivals like Diwali. Can Felix drive in a straight line for a kilometer through this traffic? Step out into the hinterland and extreme adventure simply goes to another level. We routinely see chaps perched behind auto rickshaws and jeeps, not to speak of commuter buses where passengers occupy every single space available, including the laps of co-passengers. The only ones spared are the driver and the conductor. 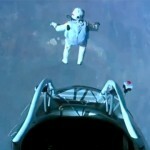 Would be fun having Baumgartner riding a local bus between Lucknow and Kanpur. The point is, one really doesn’t need to jump off outer space for extreme adventure, all one needs is drive through our roads on a busy weekday. If that’s dangerous, try sitting through an hour of Arnab Goswami’s bulletin while having dinner.